Ready to take your courseware to the next level? 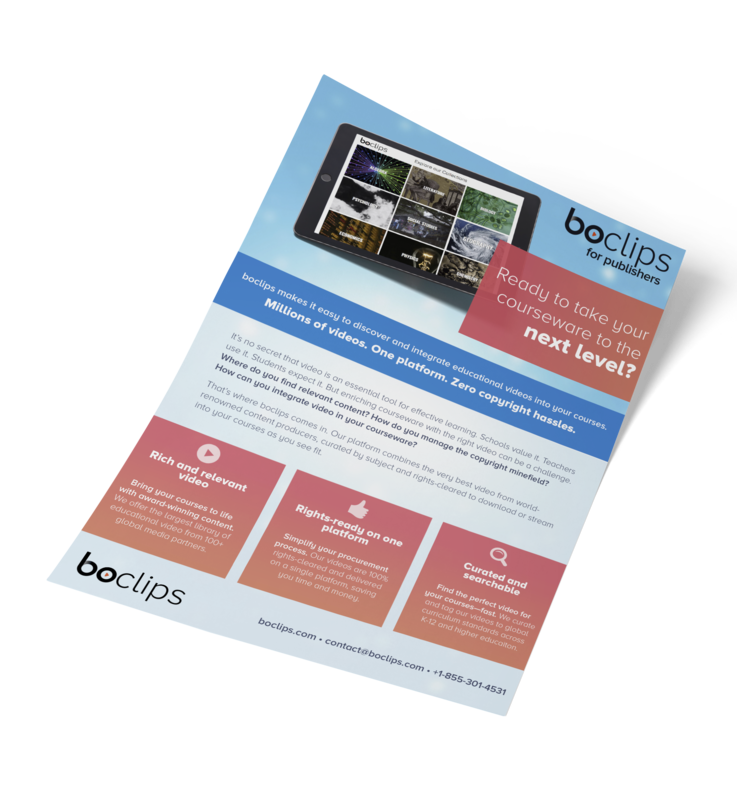 Boclips makes it easy to discover and integrate educational videos into your courses. Learn more in our info sheet. No more hunting down digital content. We've sourced the world's best educational videos and put them on a single platform. Our videos are pre-cleared for world rights and come with up to 25-year global licenses to take the headache out of procurement. Choose to download customizable videos on demand or use our API to seamlessly integrate our collections into your learning platform. Our content library is constantly growing and expanding to meet the evolving needs of educators and curriculum creators.